The snapping shrimp uses bubbles to stun its prey. What if your right arm was twice as long as the left arm? Then you could learn to use it your advantage like the snapping shrimp! The snapping shrimp is known for its disproportionate claws where one is bigger than half its body. The bigger claw cannot be used to attack because it is not shaped like a pincer that most shrimps have. Instead, it looks more like a pistol and hence this shrimp is also known as pistol shrimp. With this claw, the shrimp creates a loud sound, which has the effect to stun its prey. The shrimp snaps its claw shut so fast that a jet of water shoots out and a bubble is formed inside. When it opens its claw, out comes the bubble which pops with a loud bang, thereby stunning its prey. When it is hunting, the shrimp lies low in an obscure spot and waits for a fish to pass by. When it spots one, it steps out of its hiding place and “shoots” at its prey. 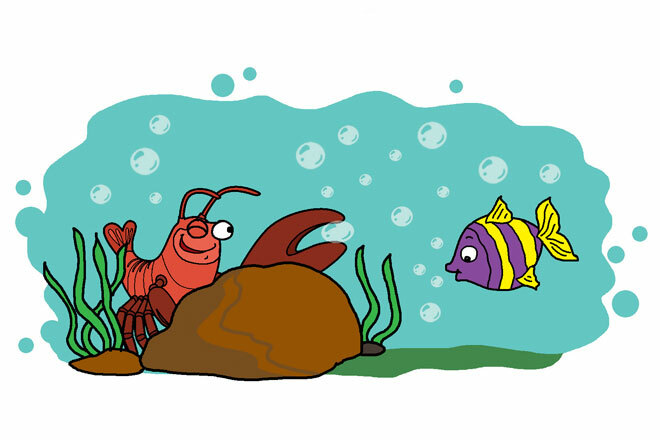 When the fish is stunned by the sound, the shrimp pulls it into its hiding place and feeds on it. Box: The bubble released by a snapping shrimp can also cause a flash of light. This phenomenon is called sonoluminescence. Winter is the coldest season of the year. Temperature goes down and days get shorter. 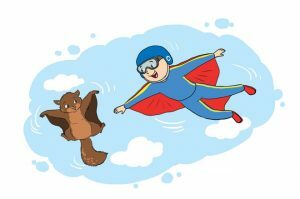 Here’s a type of squirrel that can almost fly! 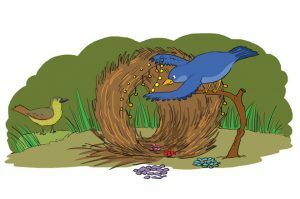 The bowerbird woos its mate with its amazing interior design skills.